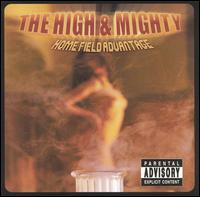 Whatever Happened to Home-Field Advantage? The idea that home-field advantage is of special value in providing a given baseball team a competitive edge is an old one, and may once upon a time have been largely true (though I haven’t done enough historical research to actually verify this.) While it may have been generally true in the past, it doesn’t seem to be the case so far this season. Nearly half of all Major League teams actually have fewer wins than losses at home, with only a few teams enjoying a truly decisive edge on their home turf. As you can see, there appear to be few teams who benefit decisively from home-field advantage. As good as even Oakland and Toronto are at home, they are even better on the road, and the Giants are only slightly better at home than they are on the road. Perhaps, then, making home-field advantage for the World Series contingent on which league wins the All-Star Game is an overrated concern. After all, even last year’s World Champion Boston Red Sox won just two of their four victories at home. And in 2012, the Giants swept the Tigers, winning two first in San Francisco, then winning Games Three and Four in Detroit. The way the Giants played, they might have won four straight even if all four had been played in Detroit. I suppose it’s often psychologically comforting to be able to enjoy the comforts and familiarity of home, but it appears that when it comes to actually winning baseball games, being at home may be largely irrelevant. In every baseball season, unexplainable situations and statistics occur. Despite all that we know and understand about the game, including all the advances we can attribute to sabermetrics, the human element still has a way of intruding on the actual outcomes of the ballgames. Large sums of money are paid to athletes both for what they have accomplished and for what a hopeful team expects them to accomplish in the future. Obviously, the best laid plans…well, you know how it goes. Having said that, here are some weird numbers I’ve noticed as I’ve researched the 2014 season to this point. Of course, the season is still young — we’re only a quarter of the way through it — and some of these players and teams will revert back to their norms, but the fact remains that odd and fascinating things have been happening all over baseball this season. Prince Fielder, who has hit 288 home runs in his career and has a career slugging percentage of .522, has “slugged” just .360 this season, 95 points lower than Mets second baseman Danny Murphy, who is slugging a career high .455. Fielder has three homers and 16 RBI. Murphy has three homers and 17 RBI. Francisco “K-Rod Rodriguez has recorded 17 saves in the 42 games the Brewers have played this season, meaning he has saved a game in 40% of the games they’ve played. In 2008, when the set the Major League record for saves in a season with 62, he recorded a save in 38% of the Angels 162 games. So basically, K-Rod is on pace to break his own single-season save record. Dodgers second baseman Dee Gordon is on pace to steal 100 bases this year. No one has stolen a hundred bases in a season since Vince Coleman last did it for the Cardinals in 1987. Averaging 7.6 strikeouts per walk this season, Mets pitcher Bartolo Colon has the best K/ BB ratio of his career (38 strikeouts against just five walks.) Yet, by almost every other measure, he’s having one of his very worst seasons thus far: 2-5, 5.84 ERA in eight starts, 1.439 WHIP, ERA+ of 58. Perhaps one really can be too careful. Mariners second baseman Robinson Cano, who over the past five seasons hit 25, 29, 28, 33 and 27 homers, is on pace to hit four this year, as many as Nationals pitcher Gio Gonzalez. With a record of 6-0, and an ERA of 2.17, Yankees pitcher Masahiro Tanaka is off to a fantastic start. He also leads the A.L. with an 0.914 WHIP. Oddly, though, batters are hitting .318 against his four-seam fastball, and a robust .326 against his two-seam fastball. But they are hitting just .172 against his slider, and only .141 off his splitter. Through nine starts, Red pitcher Johnny Cueto has an ERA of 1.25 and a batting average against of .135. In all of Major League history, no pitcher has ever had an ERA that low and an opponent batting average that low through the first nine starts of a season. The Cubs entire bullpen as recorded just four saves this season. Meanwhile, Tampa Bay Rays closer Grant Balfour recorded two in one day. Is it time to start paying closer attention to the season Rockies shortstop Troy Tulowitzki is putting together? As I type this, he is currently batting .398 with an on-base percentage of .503, and a slugging percentage of .767. Tulo leads the N.L. in batting, of course, and also in home runs, with 12. Not only does he have a chance to become the first N.L. player to win the Triple Crown since Ducky Medwick in 1937, but he may become the first player since Tony Gwynn batted .394 twenty-years ago in 1994. Could even a .400 batting average be within his reach? Dodgers outfielder Yasiel Puig, 23-years old, has now logged exactly 600 MLB plate appearances. Try as I might, I was unable to find any player from previous generations of batters whose stats through their first 600 plate appearances were truly comparable to Puig’s. He has hit 27 homers, and has posted a triple slash line of .323 /.400/.549. Puig’s career OPS+ is 165. One player I did research who also got off to a nice start to his career homered 31 times in his first 675 plate appearances (a rate roughly similar to Puig’s), and posted a triple slash line of .327 / .436 / .609, while playing his home games in a friendlier hitter’s park than Puig’s Dodgers Stadium. His career OPS+ through his first 149 games (Puig has played 141) was 160, a bit lower than Puig’s 165. The other player’s name? Ted Williams. The Mets tenth-highest paid player this season is, (are you ready for this? ), Bobby Bonilla! Bonilla hasn’t worn the uniform of any MLB team for the past 13 years. Bonilla, now 51-years old, will continue to be paid one million dollars per year by the Mets (1.19, to be exact), through the year 2035. He will be 72-years old when they stop sending him checks. The Mets could have bought him out for 5.9 million in the year 2000, but failed to do so. On the back of such improbably horrible decisions are legacies made. If there are any other oddities you’d like to share with me, by all means, please do so. This is the second of three installments in this series. If you want to go back and read the criteria I used to compile this list, or to find out who the top ten pitchers of the 21st-century have been, here’s link to the first post. In this second installment, you will find that some of the pitchers listed were household names in the late-20th-century as well. This does not contradict my prior sentiment that the purpose of this list is to highlight those players who are of more recent vintage. Although I don’t necessarily want this list to reflect a Hall of Fame ballot of retired players, the fact of the matter is that some of the players we might normally consider of pre-9/11 vintage actually spent around half or more of their careers toiling in our current century, performing at a high level. Each pitcher included on this list, then, was chosen on a case-by-case basis. This might satisfy some of you, and annoy others, but any list of this sort is going to include a certain amount of built-in subjectivity. But I am confident that every player on my list deserves to be included, even if their particular ranking is open to debate. 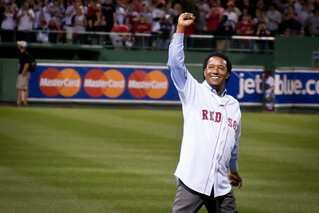 11) Pedro Martinez – Like Cy Young straddling the 19th and 20th centuries, and, therefore, being one of the best pitchers in both centuries, Pedro’s accomplishments and career represented some of the finest pitching in both the 20th and 21st centuries. Pedro’s career WAR of 86.0 is 9th best since the end of WWII. It was almost evenly divided between his pre-2000 seasons (40.3) and his post 2000 seasons (34.0.) Depending what you want to do with his year 2000 season, which was his best (11.7 WAR), either century can be viewed as his best. So let’s split the difference and take half of 2000 and award each half to each century. He ends up with around 46 WAR for the 20th-century, and 40 WAR for the 21st-century. That 40.0 WAR ranks 11th-best which, in part, explains why he ranks 11th on my list. His WAR in this century most closely resembles that of Justin Verlander, so Pedro obviously pitched to a very high level through about the year 2005. Pedro won the Cy Young award in 2000, finished 2nd in the voting in 2002, placed 3rd in 2003, and 4th in 2004. In 2005, pitching for the Mets, Pedro’s WAR of 7.0 was third best in the N.L. In 2003, pitching for Boston, and despite pitching in the toughest division in baseball during a hitter’s era, Martinez surrendered just seven home runs all season. In the 21st-century, (even if we exclude his superlative 2000 performance), Pedro posted a win-loss record of 94-44 in 198 starts, striking out 1,336 batters in 1,249 innings pitched. His 1.089 WHIP (slightly better than Kershaw’s 1.092) is the best this young century has to offer. And his 3.23 ERA is most similar to Felix Hernandez’s 3.20. A case can be made, once we figure in the era, the ballparks in which he pitched, and the quality of the competition, that Pedro Martinez was the greatest pitcher of all-time. I certainly have no problem ranking him in the top five. 12) Mark Buehrle – In a way, Mark Buehrle is the very opposite of Pedro Martinez. Where Pedro burned bright, Buehrle is a 60-watt bulb. But we need lots of those 60-watt bulbs to get through the day, and no pitcher in this century has been more dependable than Mark Buehrle. 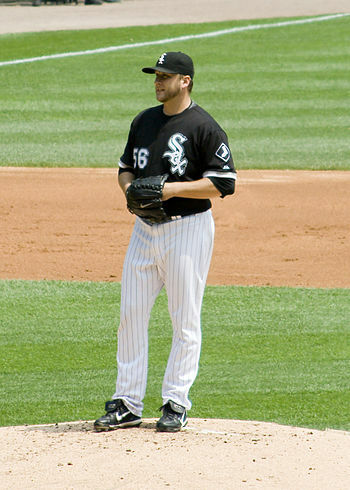 Buehrle is the only pitcher in the 21st-century to have pitched over 200 innings in each season. His WAR of 54.0 is third-best, behind only Halladay and Sabathia. In fact, Buehrle’s 54.0 is nearly identical to Sabathia’s 54.4. Buehrle’s 2,829 innings pitched ranks first since the year 2001, as do his 426 starts. His 182 wins rank third most. Although Buehrle has never in any given season been the best pitcher in his league, he does have four seasons of over 5.0 WAR to his credit, including a career high of 6.1 in 2007. Buehrle has also been named to four All-Star teams, and has won four Gold Gloves. So why doesn’t he rate a bit higher? His 3.84 ERA and his 1.276 WHIP are both among the highest of all the pitchers on this list, and he also has the most losses (141.) Buehrle has been a reasonably valuable pitcher, and ranking him in the top dozen seems about right to me. 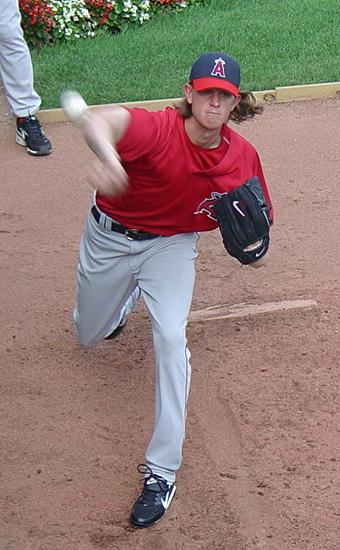 13) Jered Weaver – Jered Weaver of the Angels has been one of the more underrated pitchers of this century. His 1.143 WHIP is 5th best among all active pitchers, and his ERA+ of 127 matches Justin Verlander and Felix Hernandez (as well as Kevin Brown, Stanley Coveleski, Tom Seaver and Bob Gibson). In four of his eight seasons, he has posted an ERA+ north of 130. Weaver’s career ERA of 3.24 in this century is about the same as those posted by Felix Hernandez, Pedro Martinez, and Brandon Webb. 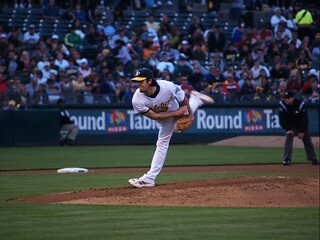 Weaver has never won a Cy Young award, but he does have a third-place finish (20-5, 2.81 ERA) in 2012, and a second-place finish (7.0 WAR, 18 wins, 2.41 ERA) in 2011, along with a league-leading 233 strikeouts in 2010. Weaver has been a key member of the Angels rotation for the past eight years, and has averaged over 4.0 WAR per year for his career. A three-time All Star, Weaver currently ranks 8th in fewest hits surrendered per nine innings among active pitchers. The reason he doesn’t rate a little higher is because his overall career value doesn’t quite yet match some of those pitchers listed ahead of him, and because he’s never won any significant hardware. If, health permitting, he continues to pitch at his current high level of effectiveness, he will certainly move up on this list in the future. 14) Curt Schilling – Yes, like Pedro Martinez, Schilling had greater value in this century than might be expected, considering his career began back when answering machines and VHS players were all the rage. In fact, about half of Schilling’s career WAR of 80.7 has been accumulated since 2001. 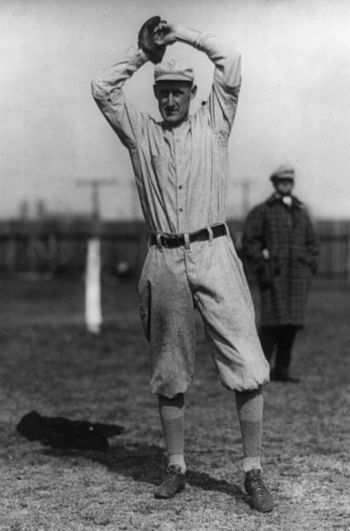 In his 192 starts in this century (about 44% of his career total), Schilling posted a win-loss record of 106-51 (a .675 win-loss percentage) and an ERA of 3.50. If that ERA seems a bit high, remember that his home ballparks included Arizona’s desert launching pad, and hitter-friendly Fenway Park. In 2001, 2002 and 2004, he finished runner-up in the Cy Young voting each season. Although he never led his league in WAR in any particular season this century, he did finish 2nd in each of those three seasons. He also averaged over a strikeout per inning, striking out 1,377 batters in just 1,358 innings pitched. His WHIP of 1.12 is also outstanding. Schilling’s 41.3 WAR is ninth-best this century. What keeps him rated lower than some other pitchers on this list is that, like Pedro Martinez, he made fewer than 200 starts, while most other pitchers on this list made around 270-350 starts this century. In short, three or four highly effective seasons is not unusual among the pitchers on this list. While I believe that Schilling had a Hall of Fame-worthy career, his overall career value isn’t entirely relevant to the purpose of this list. As a side note, I wish Curt Schilling well in his battle against cancer. The news came as a shock to me, and I wish him a full and speedy recovery. 15) Jake Peavy – During the first decade of this century, Jake Peavy was one of the best pitchers in the National League. Four times he posted an ERA under 3.00, leading the league in that category twice, and four times posting an ERA+ between 133 and 171. 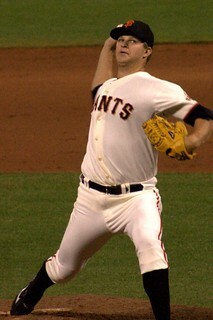 For three consecutive seasons, Peavy struck out over 200 batters, leading the league with 216 in ’05, and 240 in ’07. 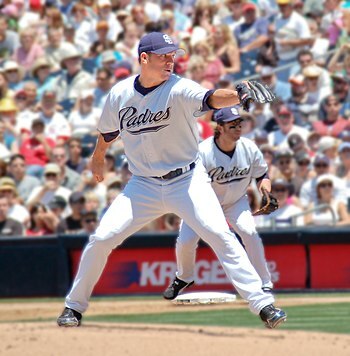 While pitching for the Padres in his first eight seasons, Peavy posted a record of 92-68, with an ERA of 3.29. If he’d continued to pitch at that high level, he would probably rate higher on this list, but other than his one nice season with the White Sox in 2012 (5.2 WAR) Peavy’s basically been a league-average pitcher for most of the past five seasons. In his entire career, Peavy has a win-loss record of 132-98, and a career ERA in 305 starts of 3.51. Peavy will be entering his age 34 season in 2014, so he’s young enough that he might still accumulate some additional career WAR, but his best seasons are probably behind him. It would be in his best interests to return to the N.L. where he enjoyed his greatest success. 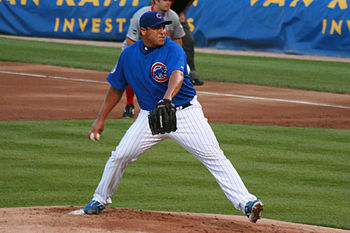 16) Carlos Zambrano – In some respects, Zambrano’s career is similar to Peavy’s. Zambrano’s career record was 132-91 in 302 starts, with a career ERA of 3.66. Pitching at Wrigley is certainly tougher than pitching in San Diego, which, in part, accounts for Zambrano’s relatively high WHIP of 1.331. Zambrano does have a somewhat higher career WAR than Peavy, 38.2 to 35.8, but Zambrano never won a Cy Young award. He did, however, finish 5th in the voting three times. Zambrano was also that rare species of pitcher who was also a switch-hitter. In fact, Zambrano was an outstanding hitter for a pitcher (or even when compared to many middle infielders.) For his career, Zambrano batted .238 with 165 base-hits, including an astonishing 24 home runs. If you add Zambrano’s 6.3 WAR he accumulated for his hitting, he becomes a 44 WAR player, which would rank him in the top half-dozen on this list. For four consecutive seasons, from 2003-06, inclusive, he averaged 5.75 WAR per year. Zambrano enjoyed some very good seasons, and he was a fine hitting pitcher. His high career WHIP, his lack of one or two truly great years, and his relatively high ERA, along with a career that was effectively over by age 29, prevents Zambrano from breaking the top 15 on this list. 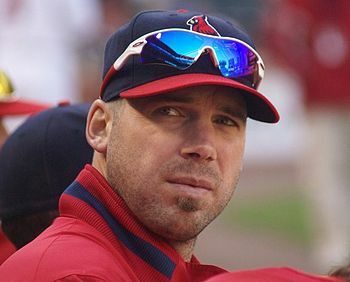 17) Chris Carpenter – Chris Carpenter is a tale of two pitchers. There was the Chris Carpenter who pitched for the Toronto Blue Jays from 1997-02, a pitcher who posted an unspectacular record of 49-50 with a 4.83 ERA in 135 starts. His ERA+ during those years was just 98, slightly less than a replacement level pitcher. He accumulated just 7.5 WAR over those six seasons. Then Carpenter got hurt and missed the entire 2003 season. It was the best thing that ever happened to him. The Blue Jays, having grown weary of their once highly touted prospect, gave Carpenter his unconditional release. Carpenter then signed with the St. Louis Cardinals, and an ace was born. If you go back and take a look at the numbers I listed for Pedro Martinez in this century, you’ll find that Chris Carpenter’s numbers as a St. Louis Cardinal were eerily similar. Carpenter made 197 starts of which he won 95 and lost just 44. He recorded a very solid ERA of 3.07, including an ERA+ of 133. His WAR was about 32.0 to Pedro’s 34.0. Carpenter’s WHIP was a little higher than Pedro’s, but was still an excellent 1.125. Carpenter won the N.L. Cy Young award in 2005, going 21-5, with a 2.83 ERA, and a league-leading seven complete games for the Cardinals. He also struck out 213 batters, and had an ERA+ of 150. In 2009, he finished 2nd in the voting for that same award with a 17-4 record, a league-leading 2.24 ERA, and a spectacular ERA+ of 182. At ages 35 and 36, he led the N.L. in starts each year with 35 and 34, respectively. He averaged 231 innings pitched during those two seasons, winning 27 games while losing 18, with a cumulative ERA of a still solid 3.32. 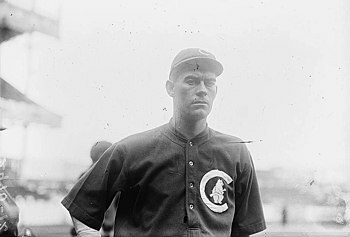 Carpenter retired after his age 37 season with 144 career wins and 94 losses. But Carpenter lost three full seasons due to injury, and was ineffective early in his career. Still, Carpenter was one of the N.L.’s premier pitchers for about half a dozen years. When healthy, from ages 29-36, he was a true ace. 18) Andy Pettitte – It may surprise you to learn that Pettitte was just 28-years old at the turn of the last century, though he’d already pitched for the Yankees for six seasons. In fact, though, fully two-thirds of Pettitte’s 18 seasons occurred during the 21st-century. 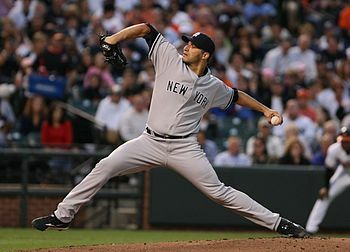 In fact, Pettitte’s 156 wins are the seventh most among all pitchers since the year 2001, as are his 330 starts. His 2,065 innings pitched rank 8th in the 21st-century. His 98 losses are tied for tenth place. Surprisingly, he had but two complete game shutouts in his final twelve seasons. Pettitte’s 35.6 WAR most closely resembles Jake Peavy’s, while his .614 win-loss percentage most closely resembles Roy Oswalt’s .615. Pettitte did have the advantage, though, of choosing to pitch for highly competitive teams for the last nine years of his career, teams that usually provided him ample run support. Thus, a moderately high 3.77 ERA during that span still resulted in far more wins than losses. But Pettitte’s best season this century did not happen while pitching for New York, but, instead, in Houston. 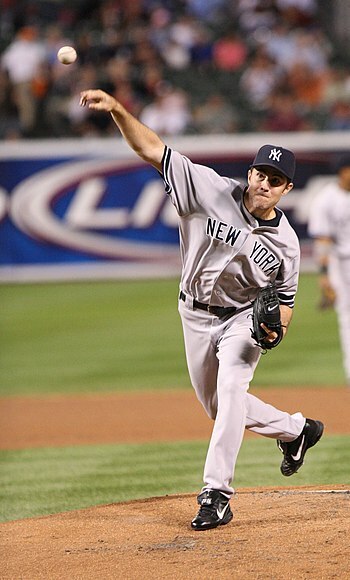 In 2005, at age 33, he produced an outstanding 2.39 ERA (ERA+ of 177) in 222 innings pitched. He won 17 games, and finished fifth in Cy Young voting. He ranked 6th in A.L. Cy Young voting for the Yanks in 2003, with a record of 21-8, despite a 4.02 ERA. Only once in this century did Pettitte finish in the top five in WAR for pitchers in any given season. In the post-season, Pettitte posted an 11-6 record after the year 2000, with a 3.53 ERA in 153 post-season innings. And no one ever had a better game face, especially in the playoffs, than Andy Pettitte. Overall, Pettitte was a very good, but seldom a great pitcher, in the 21st-century. I would have no problem if someday he is enshrined in Cooperstown, though he would never get there if his 21st-century numbers were the sole basis on which his career were to be evaluated. English: Donald Zackary “Zack” Greinke, an american Major League Baseball starting pitcher, delivers against the Baltimore Orioles in the first inning of a baseball game, Wednesday, July 29, 2009, in Baltimore. 19) Zach Greinke – Having just turned 30 years-old, Greinke should have a lot of baseball left in him. And if his future performance is anything like some of his finest past seasons, he’s going to put together one very fine career. Just last season, Greinke led the N.L. in win-loss percentage by going 15-4 for the Dodgers (.789.) Since having been liberated after seven years in Kansas City, (where he was 60-67 despite pitching at least reasonably well in all but one season), Greinke has gone 46-15 over the past three years. Greinke has averaged eight strikeouts per nine innings in his career, during which he has made 259 starts, tossed 1,670 innings, and posted an adequate 3.65 ERA. Three times he has fanned over 200 batters in a season, and he’s always had excellent control, having never walked more than 56 batters in a season. His finest season by far, and one of the very best of this century, occurred in 2009 while he was pitching for the Royals. At the age of 25, he led the A.L. with a 2.16 ERA in just under 230 innings, brandishing an astonishingly high ERA+ of 205. There have been only 37 seasons in baseball history where a pitcher has topped an ERA+ of 200, so that is quite an achievement. His WAR for the year was a Pedro Martinez-esque 10.4. For his efforts, Greinke won the A.L. Cy Young award that season, despite just 16 victories. Health permitting, Greinke is now in the right ballpark and in the right league to finally run off a string of seasons, health permitting, that will allow him to move up much higher on this list over the next half-dozen seasons. Even if he never tops his 2005 season (and he doesn’t have to), he should be able to further solidify his reputation as one of the 21st-century’s best pitchers. 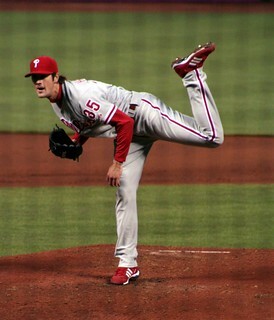 20) Cole Hamels – As with Greinke, Cole Hamels is entering his age 30 season in 2014. To this point, he’s often been a near-great pitcher, producing high-caliber pitching for the Phillies over the past eight seasons. You can count on Hamels to make over 30 starts per year, pitch 215-220 innings, strike out over 200 batters (which he has done in three of the last four years), walk fewer than 60, and post a WHIP around 1.14. Hamels has averaged 8.5 K’s / 9 innings in nearly 1,600 innings pitched, so his stuff is among the best in the N.L. 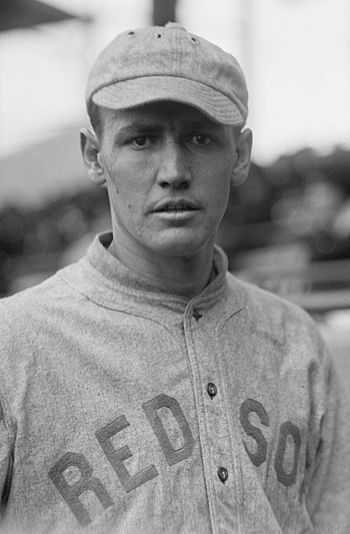 He has received a reasonable amount of Cy Young attention, finishing in the top ten in voting three times. With a little bit of luck, Hamels could be in line for his first Cy Young award and 20-win season as early as this 2014. But even if he never quite pitches with the degree of luck and run support he might need to garner that hardware, he’s plenty good enough to continue to rate among the dominant pitchers in the National League for years to come. I hope you have enjoyed this second installment of the Best Pitchers of the 21st-Century. Next time, I’ll post the final five pitchers in this series.